Kinesthetic learners absorb information best when it’s combined with movement and action. By taking a multimodal approach to storytime, librarians can promote literacy skills in a variety of formats and set little learners up for success. 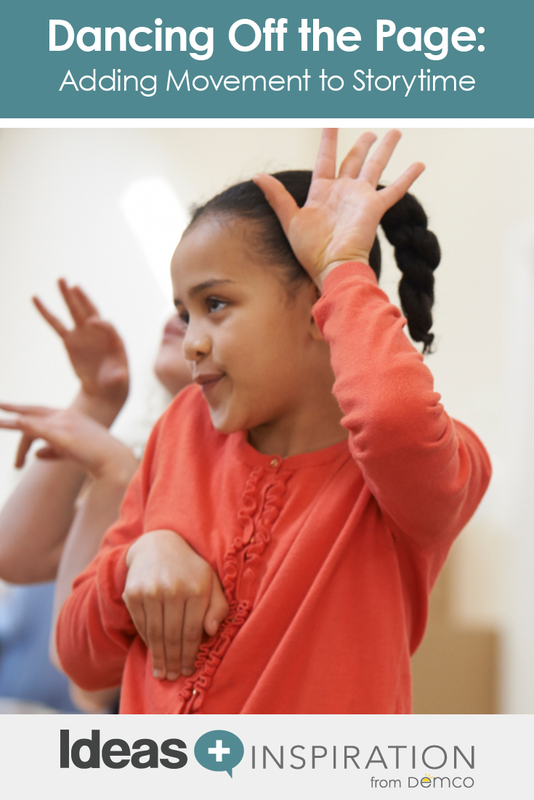 In this month’s early literacy article, dance teacher Jill Randall discusses the intersection of language and movement and offers book lists and tips for integrating movement into storytimes. Over the past 30 years educators have embraced Howard Gardner’s theory of multiple intelligences — that we all have our strengths and preferences as learners, and we all learn best through different methods. There are many creative ways to put this theory into practice during storytime to create a playful, joyful and curious exploration each week. Multimodal approaches, such as offering activities that involve seeing, hearing, talking and moving, offer ways to connect with each child. Some children love hearing a story again and again, even if they cannot see the pictures. Others snuggle up close to capture each detail in the pictures and images, visually taking in the ideas. Other children love embodying an idea, acting out a character in the book, or moving through the imagined scenery. By presenting multimodal storytime activities, you can invite each child into storytime and offer rich experiences full of the creativity and joy that make learning feel like play. As a parent and an educator, I am excited about the research on learning coming out of the Center for Childhood Creativity (CCC) in the San Francisco Bay area. Their work looks at creativity, play and curiosity in the context of long-term goals like preparing students for the 21st-century workplace and developing the innovators and entrepreneurs of the future. In a recent report from the CCC, “Inspiring a Generation to Create: Critical Components of Creativity in Children,” researchers discuss the role of physical activity as it relates to creativity: “Exercise and physical activity are associated with better focus, enhanced memory, and greater ability to learn. Action and movement stimulate the building blocks of learning in the brain” (Hadani and Jaeger 2015, 8). A 30-minute storytime at a library can be tricky. We want to make it worth the effort for families and caregivers to come to the library. Yet, for many young children, 30 minutes of sitting and listening is too ambitious. In my own life, I have felt that traditional storytime activities were not possible for my children. But storytimes that integrated movement and tactile opportunities invited my children in. Varying the activities also can open storytimes to children of different ages and stages of development, allowing families with multiple children to attend. When a caregiver arrives at a storytime at the local library with a 2-year-old and a 3-month-old, both can benefit from the experience. In fact, the American Academy of Pediatrics has made a recommendation for families to begin reading to their children during infancy to create a language-rich environment from the earliest years. A language-rich environment doesn’t always have to mean words in print; there are many different ways children can experience language. I have taught dance to children for more than 18 years, and one of my areas of interest and passion is the intersection of language and movement. How can words inspire movement? 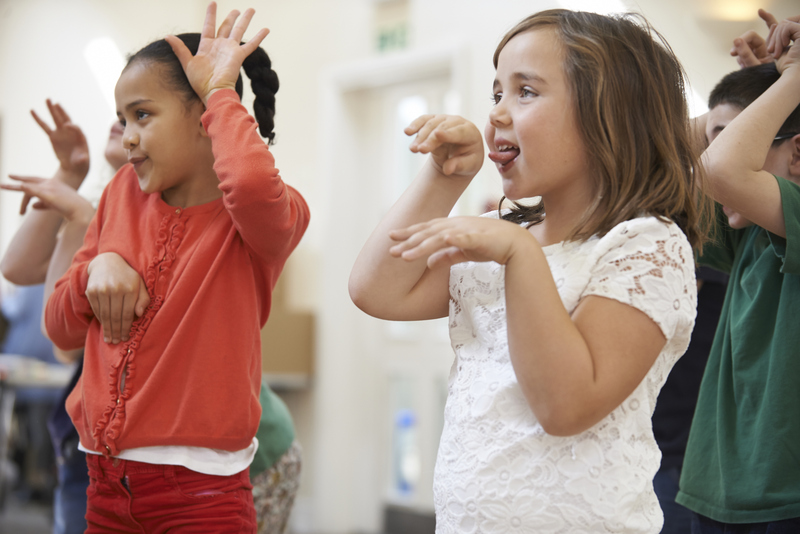 How can movement promote long-term literacy and a love of language? During storytimes that incorporate movement activities, children engage and explore words, sounds and text in unique and memorable ways. It is much easier to remember that the word “jump” begins with “J” after a child has heard, seen and danced the word. Joyful learning is memorable learning. Storytimes with varying activities also offer children with disabilities a variety of options and possibilities. Activities can support adults and children moving and working together in a supportive, encouraging way. As you facilitate each activity, your prompts can offer multiple ways to move and improvise; for example, dancing can happen while standing or seated or with the support of another person. As I wrote in my chapter in the book Moving Ideas, “If we indeed care about education, especially early childhood education, then it is imperative to include movement that invites them to experience the joy and magic of language in many rich and varied ways” (Randall 2013, 205). The storytime ideas shared below inspire everyone to move, allow for wiggles and talking, and embrace a lively room with stories, movement, and interactions. Storytimes can also clearly model for caregivers how to extend the learning at home by incorporating movement into reading. Some stories can easily be used in their entirety for a movement activity with your storytime group (adults and children alike). I suggest reading the whole story first with everyone seated. Then get everyone up on his or her feet. Spread out around the space. Read the story again, and offer coaching and encouragement to move as you read: “Ooh … let’s get low to the ground like the little boy on this page. Can we crawl slowly along the ground?” Your pace of reading will naturally shape the movement activity. You can also use open-ended questions to encourage both children and caregivers to improvise and move with you. As stated in the report “Inspiring a Generation to Create: Critical Components of Creativity in Children,” it is important to “balance direct instruction with open-ended exploration in the context of play. [The] freedom to self-direct and explore leads to higher engagement” (Hadani and Jaeger 2015, 11). • How many ways can you (jump, walk, spin, etc.)? • Adults and children, can you try three different ways to (walk, hop, turn, etc.)? • Who can show me (e.g., the biggest reaches to the sky)? With other books, especially alphabet books, you might not use the entire text for a movement activity. Ahead of time, use small sticky notes to mark a few pages that will inspire your group to move (making sure you have the physical space to allow for those particular movements). Start by reading the whole story to the group, and mention that everyone will try out some of the movements in a few minutes. Select some complementary music to accompany the physical exploration. Listed are 20 pictures books that practically dance off the page. You can create a book bin of these titles and use one or two each storytime. I specifically selected the books for their use of kid-friendly action words (slither, pounce, snap) and prepositions (up, down, over, under). Many books on the list feature animal characters and engaging images of children. As a parent of children who loved trucks, I was thrilled to find Tip Tip Dig Dig, which offers a unique way to incorporate truck-inspired movements into a dance. We can gather inspiration from all around us! If your library has more than one copy of the titles, display extra copies during storytime for families to check out. Storytime can be the perfect time to engage infants, young children and caregivers with words, images and movement to encourage joy and play — all inspired by stories. What a perfect way to spark curiosity and a love of reading for years to come! Cornish, Audie, host. “To ‘Immunize’ Kids Against Illiteracy, Break Out a Book in Infancy.” NPR. June 24, 2014. Accessed July 29, 2015. Hadani, Helen, and Garrett Jaeger. “Inspiring a Generation to Create: Critical Components of Creativity in Children.” Center for Childhood Creativity, 2015. Accessed July 1, 2015. Randall, Jill. “A Trio: Combining Language, Literacy and Movement in Preschool and Kindergarten Community-Based Dance Classes.” Moving Ideas: Multimodality and Embodied Learning in Communities and Schools, 187–207. New York: Peter Lang, 2013. Jill Randall is a professional modern dancer and dance teacher based in the San Francisco Bay area. Her interests include studying the intersection of language and movement, dance education and pedagogy, creative-based dance, art in education and multimodal learning. Visit Dancing Words, her blog about children’s books on dance and books that can be springboards for movement explorations at dancingwords.typepad.com. You can also find her on Twitter @JillHRandall. I love this idea almost in reverse. Using a story in my dance classes and incorporating some movement as you have suggested would be a fun break away from the norm for us. Thank you for sharing! Going to try to use some of these with my ECI students! Sadly, quite a few titles on this list are out of print. It would be great to get an updated list of book recommendations. Thanks for the excellent tips though!